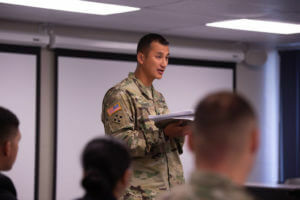 The SMP is a volunteer officer training program that allows Army National Guard and Army Reserve enlisted members to also participate in the Advanced ROTC Program. 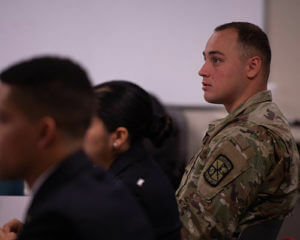 Upon completion of Basic Training, a Reserve Component Soldier who is an academic junior, can join the Advanced ROTC program and earn a commission as an officer in the United States Army while completing their college degree. In addition, contracted non-scholarship cadets and Reserve Forces Duty (RFD) scholarship cadets can join a Reserve Component unit and the SMP. 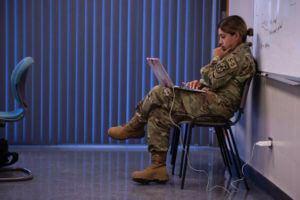 The intent of the SMP is to increase officer accessions into the Reserve Components (RC) by increasing ROTC enrollment from enlisted RC members who are attending college.